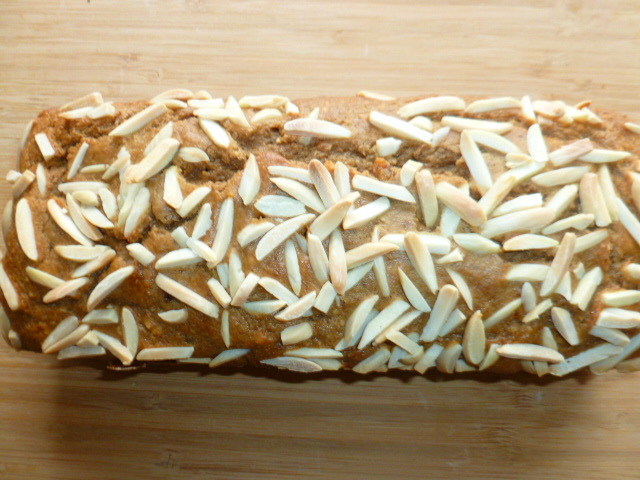 This fragrant, not overly sweet bread, is a great way to start your day. 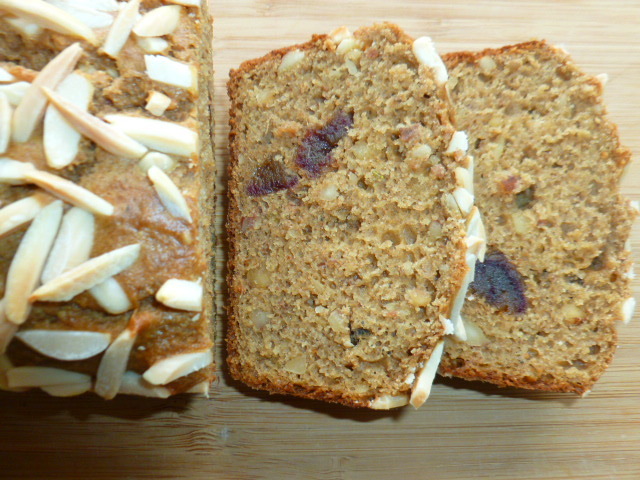 It contains a fairly small amount of oil, fresh and dried fruits, fiber from unblanched almonds and whole wheat flour, and to top it all, even the coffee and milk are already in! Obviously, this tasty bread can be served anytime and not just for breakfast, so it’s a good idea to bake two loaves. Slice and separate the slices with wax paper, and freeze in an airtight container, for up to 2 months. Serve it as is, or lightly toasted, with cream cheese, butter or almond butter on top. * Espresso powder is an intense, highly concentrated granulated coffee. If you can’t find it, double the amount with regular granulated coffee. 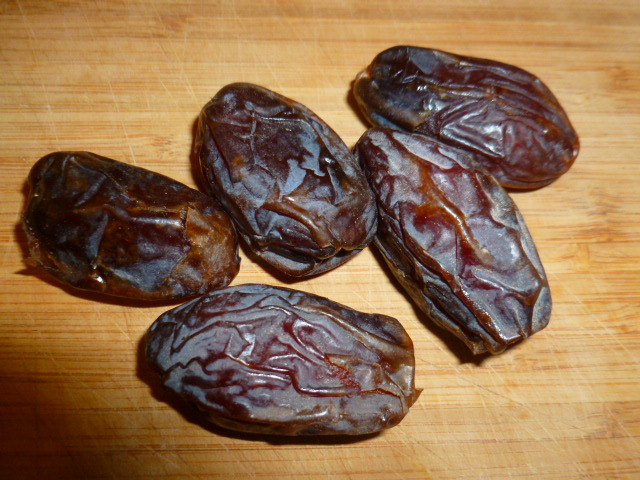 * Medjool dates are fairly large, plump and soft dates. They are sweeter than most dates and are the best for baking. 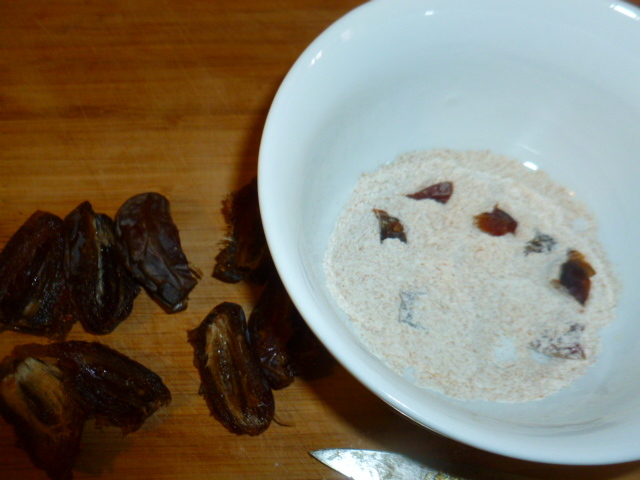 For best results, don’t substitute them with any other type of dates. * I have used lightly salted roasted almonds, as they produce better flavor and texture when baked, and the salt adds a nice balance to the sweetness of the dates. If you prefer to use natural almonds, add ½ tsp of salt to the batter. * Anise and cardamom complement beautifully the coffee flavor. 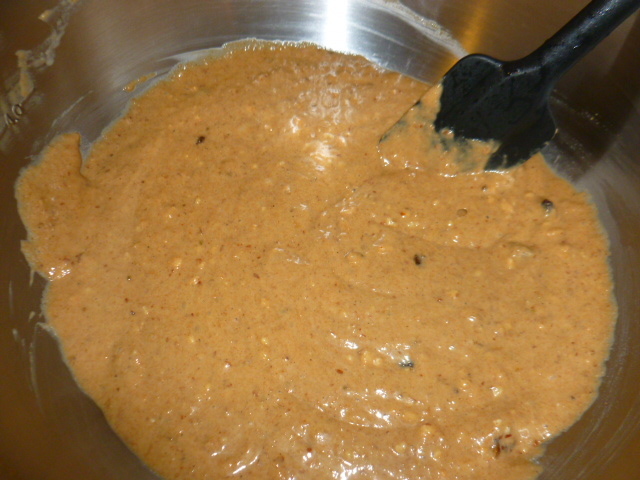 However, if you don’t like their flavor, you can substitute with same amount of cinnamon. 1. 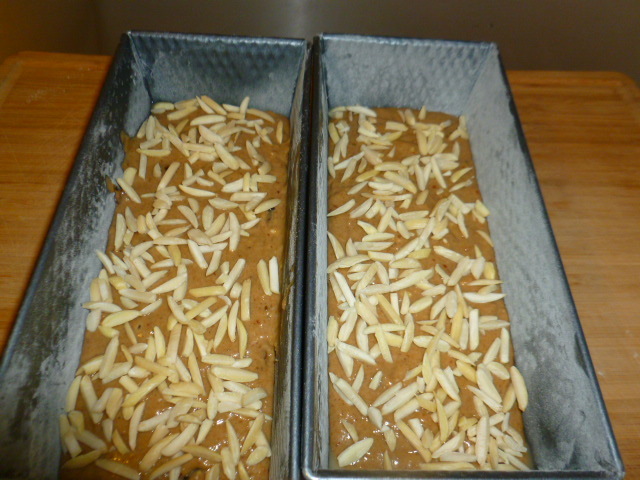 Cut the dates into medium size cubes, and mix with 2 Tbs whole wheat flour, so that they will not stick together. Set aside. 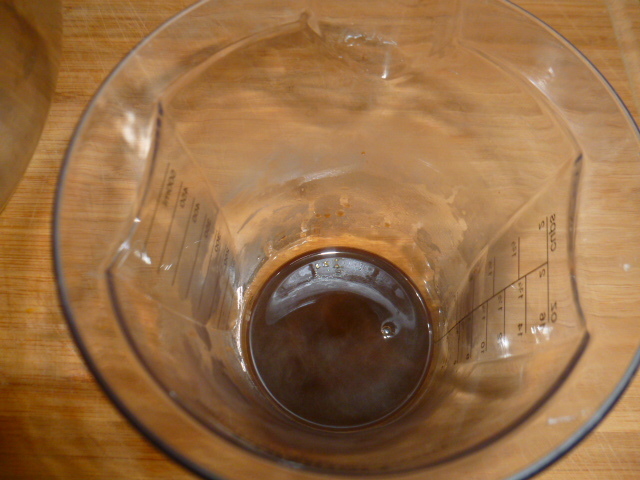 Dissolve the espresso powder in the boiling water. Add the milk and mix well. Set aside. 2. Preheat the oven to 350F (175C). 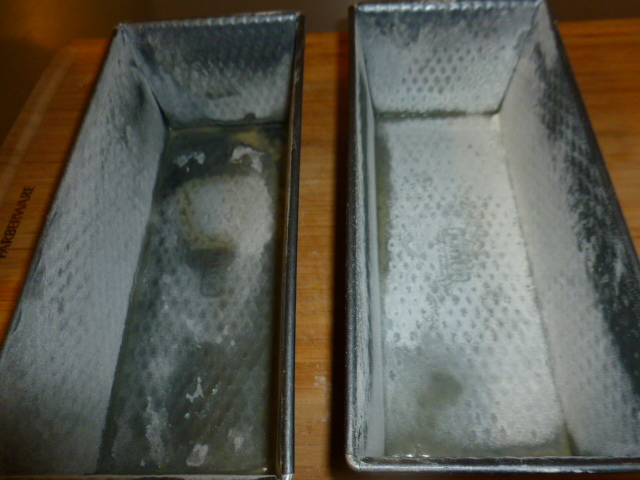 Brush the pans with oil and dust with a small amount of flour. 3. 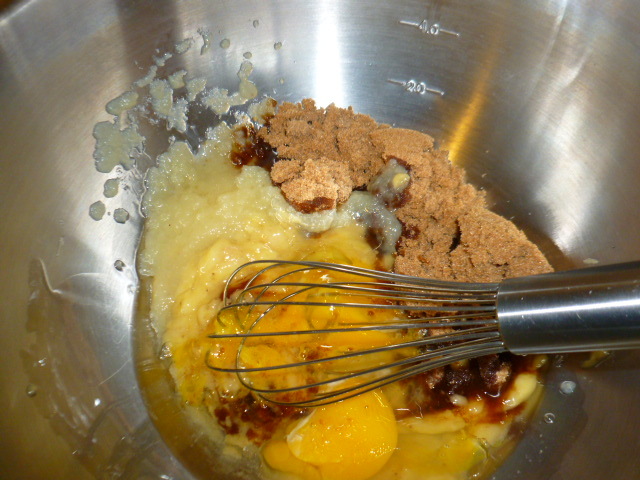 In a large bowl, combine the mashed banana, applesauce, oil, eggs and brown sugar. Mix well. 4. 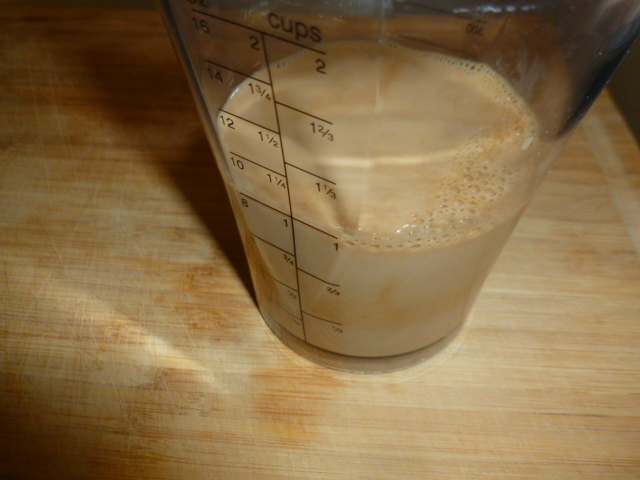 Add the coffee-milk mix and mix again. 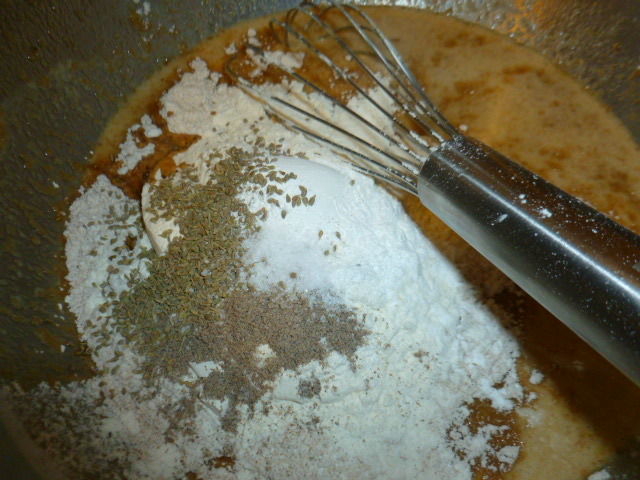 Add the two types of flour, baking powder, salt (if not using salted almonds), anise seeds and cardamom. 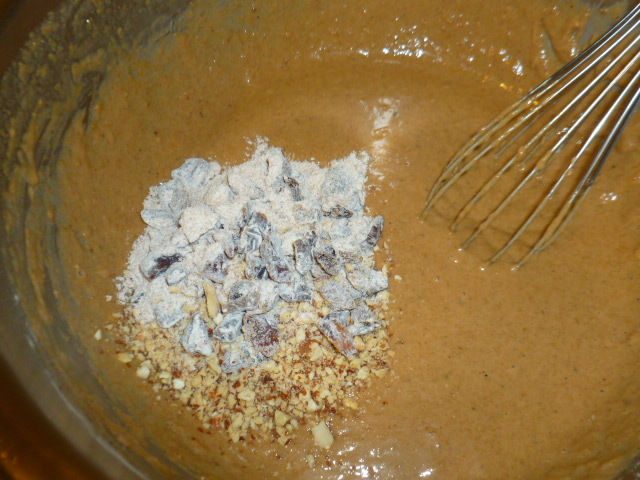 Mix and add the ground almonds and the dates with the flour. 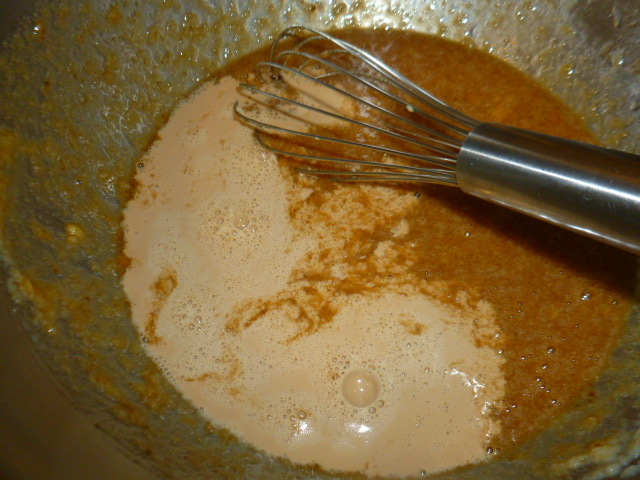 Mix with a spatula and divide the batter between the two pans. 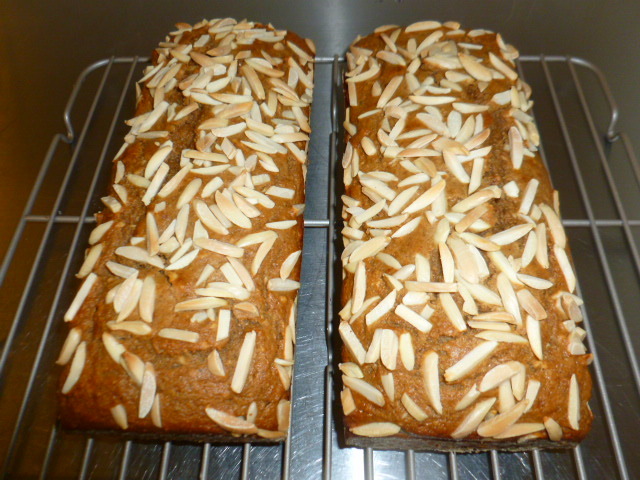 Scatter the slivered almonds on top. 5. 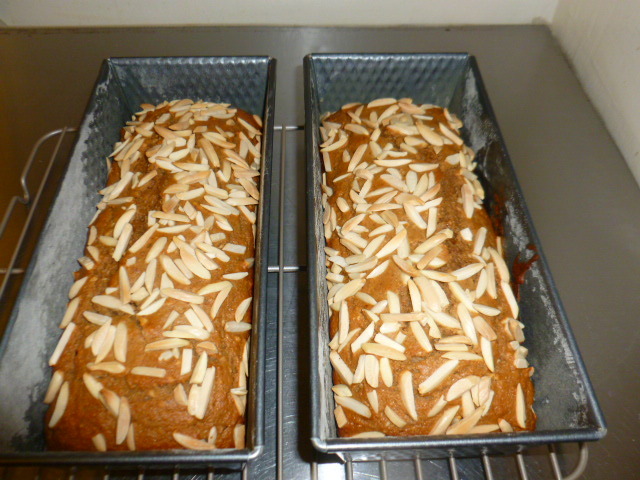 Bake for 40-45 minutes, until a toothpick inserted into the center of the bread comes out clean and the slivered almonds are golden-brown. 6. Let stand in the pan for 2-3 minutes. 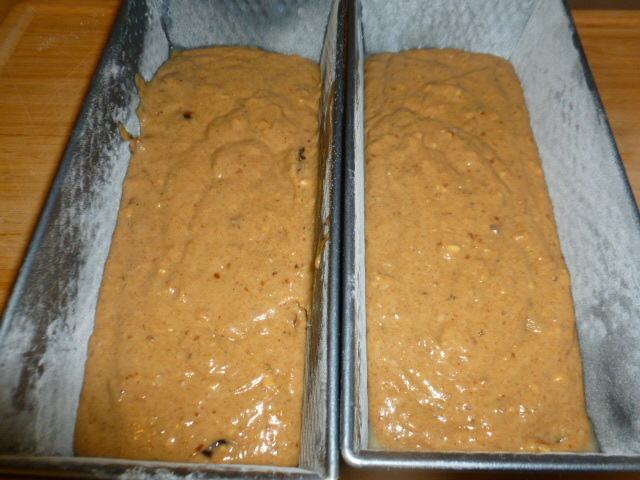 Release from the pan and let cool on a rack before slicing. Why do I love so many of your things? This cake looks FAB-ulous! Well, the answer is . . . I like just about everything – except raw onions and garlic. And, yes, exactly – why not? Most food is so utterly delicious that it is a mystery to me how it can all be happening right in front of me! We just finished (pictures soon) our Sunday round of poached eggs, and we never fail to marvel at how delicious and satisfying – to say nothing of CHEAP – really good food is. Working up the total of everything, it looks like each plate was under $1.50. Since a cup of coffee is now about twice that amount in a restaurant, I am wondering when more people are going to wake up and start to cook for themselves. I am heartened by what I read in blogs that are written by folks who apparently think along those same lines, but I long for the day that good, home-cooked meals are the norm, not the exception. Ronit, can you speak to how/if there are any trends towards home cooking, even if it is done with outside help, so to speak? As a private chef I work with people who want exactly that – good homemade food at home, but that of course comes with a price that is not for everybody. However, from the cooking demos I give I do think things are getting better, people are more aware of the importance of fresh food and how it’s not necessarily has to be more expensive than the processed horrid foods. I teach people how it’s possible to make great foods with only putting a few hours a week into it, with soaking beans and freezing them so they will cook faster when needed and such “tricks”. Your last paragraph says it all for me . . . every time I try to talk to someone on this topic, that is what happens. I have given up because very few folks REALLY want to eat well. They want to do exactly what you say above, and then grouse about the cost of good groceries. I understand that maximum SNAP allotment is about $40. a week per person, and the hue and cry is that no one can eat for that amount of money, yet I provide exceedingly varied and nutritious meals at home for two on just slightly over that amount. I give food to a friend of a friend who lives close to the bone, yet am appalled at the amount of money that is spent on Big Gulp-type drinks, and other convenience store fodder. This person is in terrible physical health, yet will do nothing to alleviate the poisons that enter his body through injudicious eating. How wonderful that you are able to teach people these tricks. I employ so many in our pantry and kitchen, but have had no success in migrating the information to anyone. No one wants to hear that two minutes of work out of sequence will save an hour later on. Soaking peas or beans, especially with hot water in a good vacuum bottle, is a wonder in itself. And that’s only one thing. You (and I) probably have a huge repertoire of such actions. How do you find a receptive audience? Do the lessons stick? Do the leopards change their spots, or just complain that it is “too much work”? That’s what I always get – “too much work”. I am mystified because I find that it is a whole lot LESS work in the long run; just takes a bit of pre-planning, and then some actual action. Yes, it can be quite frustrating at times, but on the whole it’s nice to see how people end up feeling proud and happy with what they’ve managed to cook, even if it’s a simple dish. I know many will still not cook everyday from scratch, but even if they end up cooking pasta and adding frozen steamed broccoli with a bit of olive oil, or using good quality canned beans with plain home cooked rice, for example, that is such an improvement compared to what they had before, that I’m fine with it. 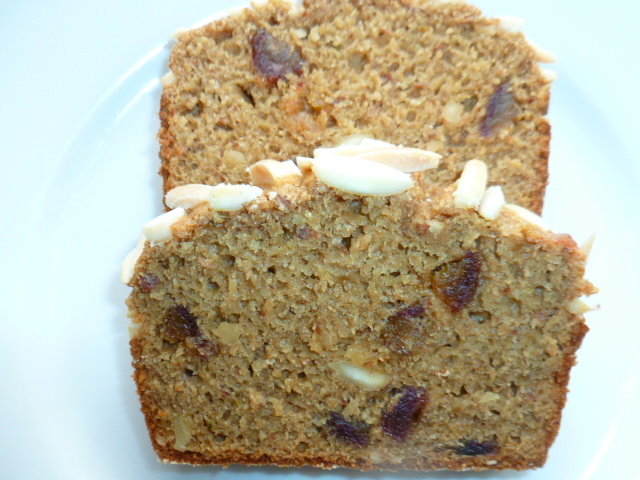 The texture is indeed moist, but not as much as with other cakes of this type, since the unblanched almonds and whole wheat fllour absorb some of it. That is why it slices so nicely and it’ keeps it’s shape when toasted. :) Guess I’ll have to bake my own! Another must try for me – you have the greatest recipes on here! I can’t wait for breakfast now! Love the almond crust. Looks amazing. This is loaded with all kinds of ‘good things’ and I can just imagine the delicious mix of flavors!! About eating well… I now live alone and – although I love, love, love to cook – I find it hard to cook healthfully for myself. I know that has got to change ’cause I want to me around for a long time!! Thank you Cecile, I’m glad you liked the recipe. I understand that the motivation for cooking is reduced when being single, but I know from myself, it doesn’t have to be so. Many healthy foods don’t require long cooking time and some don’t need cooking at all. The better and fresher foods you’ll have will also cheer you up and will give you more motivation to cook healthy. You are so right!! Thanks! I love the long recipe name—it’s so fitting and looks marvelous. Slice a hunk of that and warm it in the mircowave. This looks really good! Definitely another one for my “to do” list!! OK, yours is way healthier than mine! Looks plenty tasty, though. Great for breakfast. I like that it has bananas, too, as there are always brown bananas at the ready.